Upon your arrival in Mumbai, check into the hotel. The evening is free to relax and explore the nearby sights. For instance, you can visit the famous Juhu Beach and watch the sun in reddish hues. You can also savor the mouth-watering Mumbai ‘Pav-Bhaji’ and Bhel on the beach. Stay overnight in Mumbai. 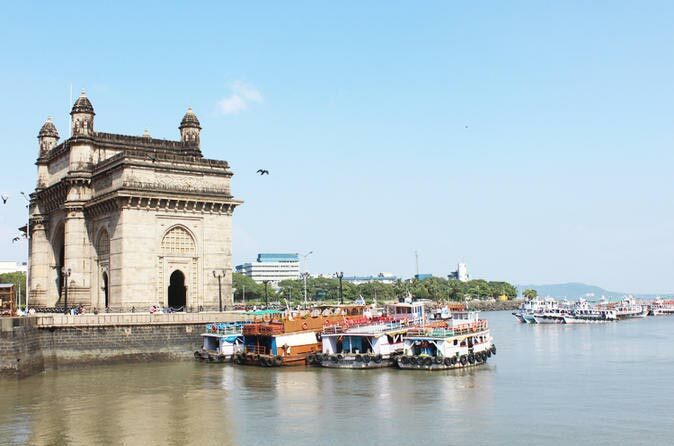 Today, in the morning, proceed towards the Elephanta Caves and city tour on your own. Early morning, you will be transferred to the Gateway of India. Then there is Elephanta Caves, located on an island about 10 kilometers away from the shores of Mumbai. These caves comprise of temples carved from solid rock dating back to the 7th century. The main attraction is the three-headed bust of Lord Shiva, famously known as ‘Trimurti’. Thereafter, proceed on a city tour. 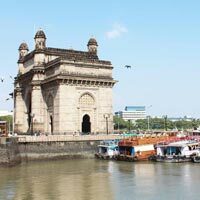 Later, halt at the Gateway of India for photo stop, drive past monuments built during the British era such as Mumbai University, Rajabai Clock Tower, High Court and Chhatrapati Shivaji Maharaj Terminus (VT). You may choose to stroll across Fashion Street, a stretch famous for its export clothing and accessories. Later drive past Marine Drive also known as the Queen’s Necklace. Later, ascend Malabar Hill to visit the beautifully adorned Jain Temple, Kamala Nehru Park and the Hanging Garden. Later, return back to the hotel for dinner and overnight stay. Today, in the morning, you will be transferred to the nearby Railway Station/Airport for your onwards journey.